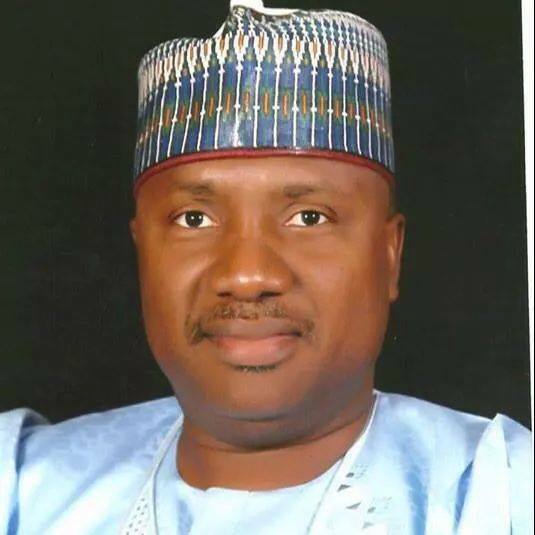 A Federal High Court sitting in Abuja has struck out the alleged certificate forgery suit against the Adamawa State governor, Mohammed, Jibrilla Bindow, for want of jurisdiction. Besides, Justice Inyang Ekwo held that the suit which sought the disqualification of governor Bindow as a candidate of the All Progressives Congress (APC) for the last governorship election had become an academic exercise. The plaintiff, Manhood Ahmed, an in-law to President Muhammadu Buhari had approached the court in a suit marked FHC/ABJ/CS/1377/2018 to disqualify the incumbent governor of Adamawa State, Mohammed Umaru Jibrilla from participating in the 2019 Adamawa governorship election. He specifically sought an order disqualifying the governor from contesting the position of the governor of Adamawa State and to be adjudged the rightful candidate of the APC for the said general election. The plaintiff, also a chieftain of the All Progressives Congress, had alleged that Governor Bindow supplied false information to the Independent National Electoral Commission (INEC) in his INEC Form CF 001 by purporting to have sat for the West African School Certificate Examination (WASCE), in June 1983 and posses General Certificate of Education (GCE) issued by the examination body. The plaintiff further accused the governor of falsely declaring his educational qualification and date of birth for the purpose of nomination/election into the office of Governor of Adamawa State for the 2019 general elections. Also joined in the suit as defendants were the APC, INEC, West African Examination Council (WAEC) and the Registered Trustees of Centre for Reform and Public Advocacy. But in his preliminary objection, counsel to the governor, Chief Chris Uche, a Senior Advocate of Nigeria (SAN), argued that the said governorship election had taken place and both his client and his political party lost the election. In the said motion brought pursuant to Section 285 (13) of the 1999 constitution (4th Alteration 2017), Uche urged the court to declined jurisdiction on the grounds that the suit had become an academic exercise. Delivering his judgment, Justice Ekwo upheld the objection raised against the suit by counsel to the governor, Chief Uche (SAN) to the effect that the suit had become an academic exercise. Justice Ekwo further declined jurisdiction to adjudicate on the subject matter of litigation. The court held that “the general election of the governor of Adamawa State the subject-matter of the suit and which election the plaintiff sought to have the 1st defendant disqualified from contesting took place on March 2019. “I consequently declined jurisdiction to try this suit, the same having become an academic exercise by virtue of Section 285(13) of the 1999 constitution (4th Alteration 2019). “I make an order striking out this suit. The preliminary objection succeeds and I will not go into the substantive matter,” Justice Ekwo held.